(Refer to Figure 61.) 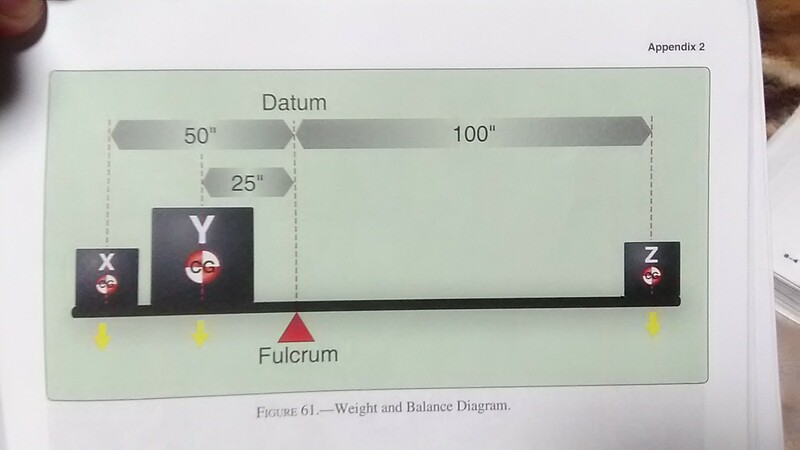 lf 50 pounds of weight is located at point X and 100 pounds at point Z, how much weight must be located at point Y to balance the plank? C-300 pounds. 231-1　NAME : くろ　2017/04/30 17:30:32 NEW! 231-2　NAME : 管理人　2017/05/01 01:51:32 NEW! 231-3　NAME : タコライス　2017/05/02 17:47:19 NEW! 230-1　NAME : くろ　2017/04/27 06:20:41 NEW! 230-2　NAME : 管理人　2017/04/27 08:35:04 NEW! 230-3　NAME : くろ　2017/04/27 12:12:29 NEW! 229-1　NAME : 井上　 2017/04/27 01:33:38 NEW! 229-2　NAME : くろ　2017/04/27 07:59:56 NEW! 229-3　NAME : 管理人　2017/04/27 08:39:26 NEW! 226-1　NAME : 管理人　2017/04/19 04:32:30 NEW! 226-2　NAME : くろ　2017/04/19 06:41:03 NEW! 226-3　NAME : commercial　2017/04/21 10:26:18 NEW! 226-4　NAME : くろ　2017/04/24 12:10:26 NEW! 226-5　NAME : くろ　2017/04/24 14:31:47 NEW! 226-6　NAME : commercial　2017/04/25 10:38:01 NEW! 226-7　NAME : くろ　2017/04/26 04:22:48 NEW! 226-8　NAME : くろ　2017/04/26 04:31:52 NEW! 226-9　NAME : 管理人　2017/04/26 08:08:03 NEW! A sailplane has a best glide ratio of 23:1. 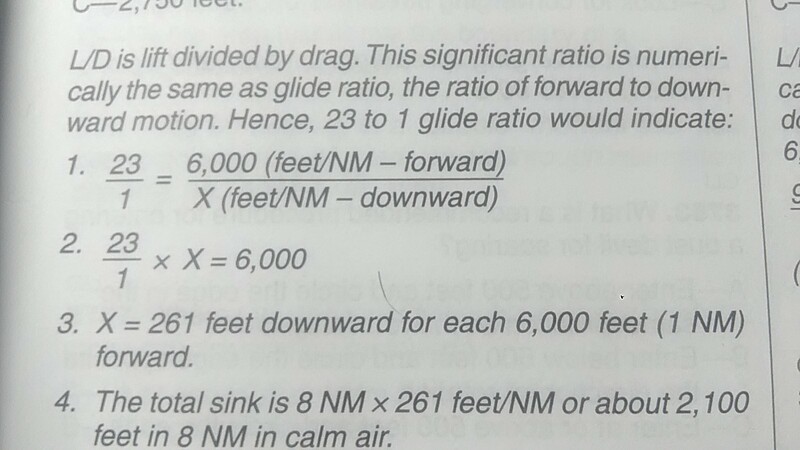 How many feet will the glider lose in 8 nautical miles? A-1,840 feet. B-2,100 feet. C-2,750 feet. 228-1　NAME : くろ　2017/04/26 04:16:39 NEW! 227　gyroplane rotor blade positionについて NEW! 227-1　NAME : 管理人　2017/04/25 17:08:24 NEW! 225-1　NAME : くろ　2017/04/12 07:26:31 NEW! 225-2　NAME : 管理人　2017/04/12 14:35:23 NEW! 225-3　NAME : べべ　2017/04/13 12:57:20 NEW! C: Piper 12D ???? Runway 4L wind variable at 4 Cleared for the option. 224-1　NAME : 管理人　2017/04/11 02:32:52 NEW! 224-2　NAME : 井上　 2017/04/11 02:47:22 NEW! 224-3　NAME : 管理人　2017/04/11 03:30:21 NEW! Piper 12delta, check wheels down, runway 4 left, winds variable at 4, cleared for the option. 224-4　NAME : 井上　 2017/04/11 03:47:38 NEW! 224-5　NAME : しん　2017/04/11 20:17:39 NEW! 224-6　NAME : 井上　 2017/04/12 04:02:56 NEW! 224-7　NAME : しん　2017/04/12 16:25:05 NEW! 221-1　NAME : 管理人　2017/04/10 03:56:36 NEW! 221-2　NAME : 管理人　2017/04/10 04:06:01 NEW! 221-3　NAME : student&#160;pilot　2017/04/10 07:52:05 NEW! 221-4　NAME : 井上　 2017/04/10 13:54:33 NEW! 221-5　NAME : くろ　2017/04/11 10:02:10 NEW! 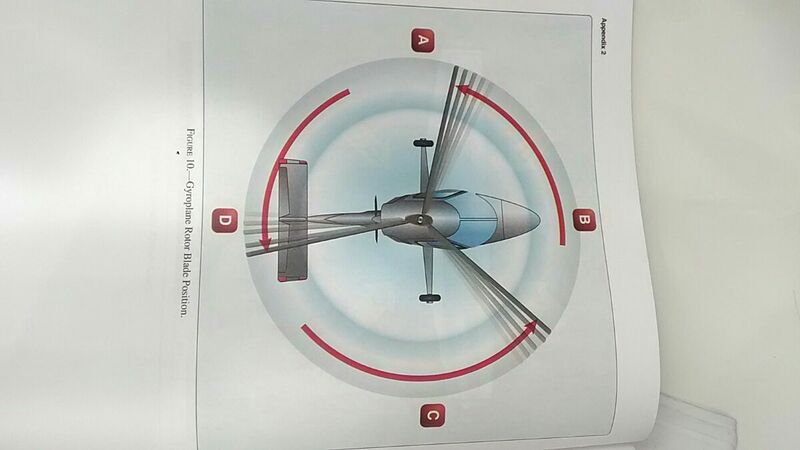 The total distance required to accelerate the twin engine air-plane to a specified speed and assuming failure of on engine at the instant that speed is attained to bring the air-plane to a stop on the remaining runway. The total distance required to accelerate the air-plane to a specified speed and assuming failure of on engine at the instant that speed is attained. Continue take off on the remaining engine to a height of "50" feet. 221-6　NAME : 井上　 2017/04/11 12:30:26 NEW! 220-1　NAME : くろ　2017/04/11 10:25:49 NEW!